At the state and local level, attacks on government workers have intensified, led by Republicans who want to break the power of public-sector workers’ unions, but also joined by Democrats who are intent on cutting the pensions for government workers. 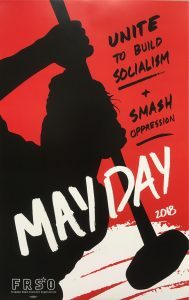 These attacks and cuts are part of ongoing national oppression and gender inequality, as they fall the hardest on women and oppressed nationalities, who are much more likely to be public sector workers, especially those with lower and middle incomes (excluding police, fire, and professional workers). “Breaking up the Financial Industrial Complex,” by David Weidner, Wall Street Journal, April 1, 2010.